On to my not-so-sponsored post! I say "not-so-sponsored" because I wasn't actually given anything for writing it except for the super-cool graphic you see below. 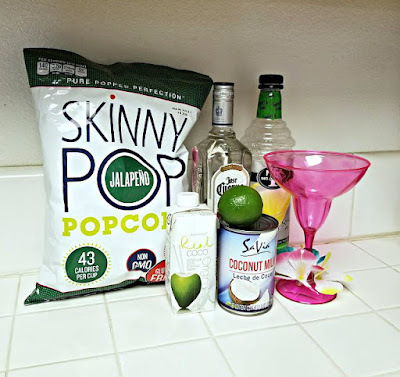 SkinnyPop Popcorn recently shared their Popped and Paired graphic with me to share with my readers, and since I'm a fan of both fun summer adult beverages (like sangria and margaritas and a Brazen Hussy and SoCal Coconut Coladas!) 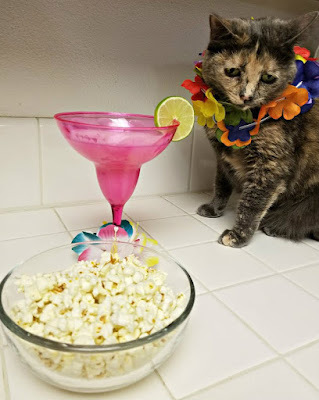 and popcorn (remember the Disappearing Popcorn Popcorn Soup? ), I said sure, why not? I picked the Jalapeno flavor of SkinnyPop popcorn, 'cause I like spicy stuff (although, truth be told, this popcorn isn't really spicy. 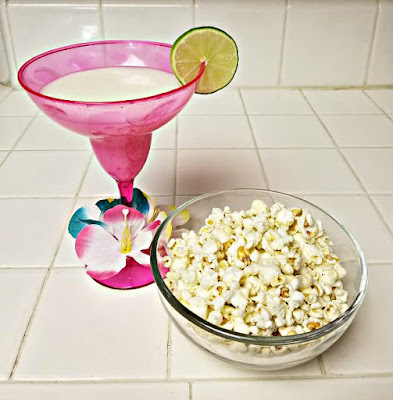 It's got more of the flavor of jalapeno than the heat of jalapeno, so if you're leery of hot stuff, I think you'll still like this), and I also thought the Coconut Margarita it was paired with looked pretty tasty. I was a little put off by the look of the drink (it was like drinking milk out of a margarita glass), but it was really good. Don't be like me and be sitting in a house with no ice when you make this, though. That's a poor life choice. 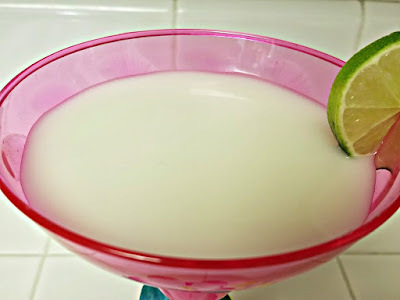 *You may notice from the photo that I didn't use Triple Sec. That's because I was certain I had Triple Sec in my cabinet, but it turned out all I had was Sweet & Sour Mix, so I used that instead. It was delicious! Combine coconut milk, tequila, Triple Sec, and coconut water in a shaker with ice. Pour into two glasses and garnish with a slice of lime. It's a coconut jalapeno party! Me enjoying a delicious coconut-flavored beverage despite the gross room-temperatureness of it. Zelda got in a little on the action as well, because it had been far too long since I'd put accessories on her and made her pose for a picture. "Is this milk? This looks like milk." 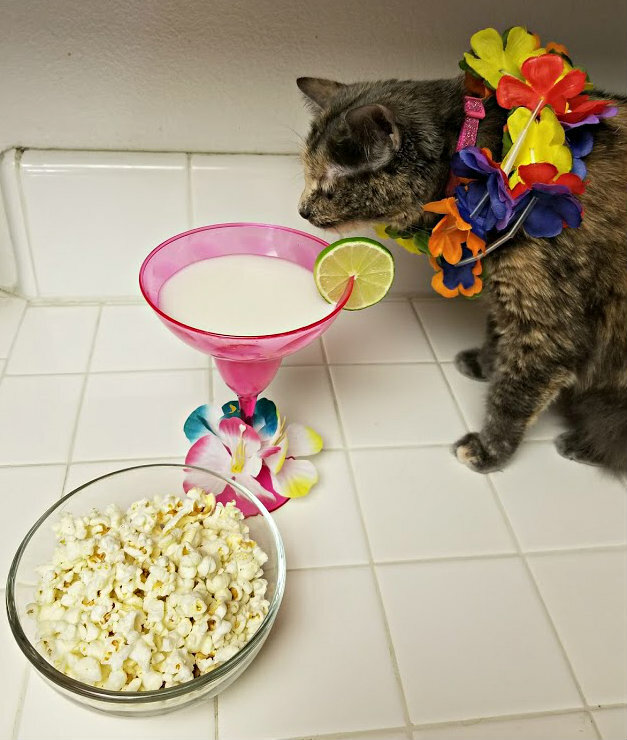 "This is most decidedly not milk, and I am disappointed." 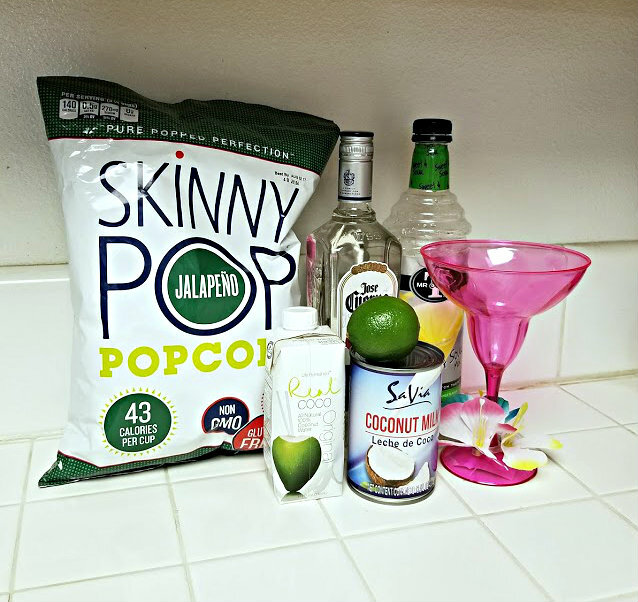 Thank you to SkinnyPop for the cool graphic and drink pairing ideas. 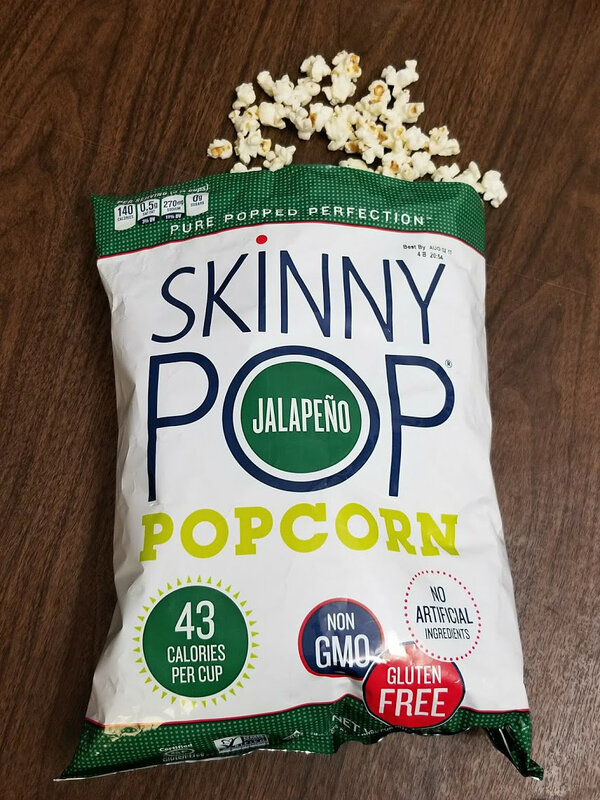 (Click here to find SkinnyPop at a store near you.) 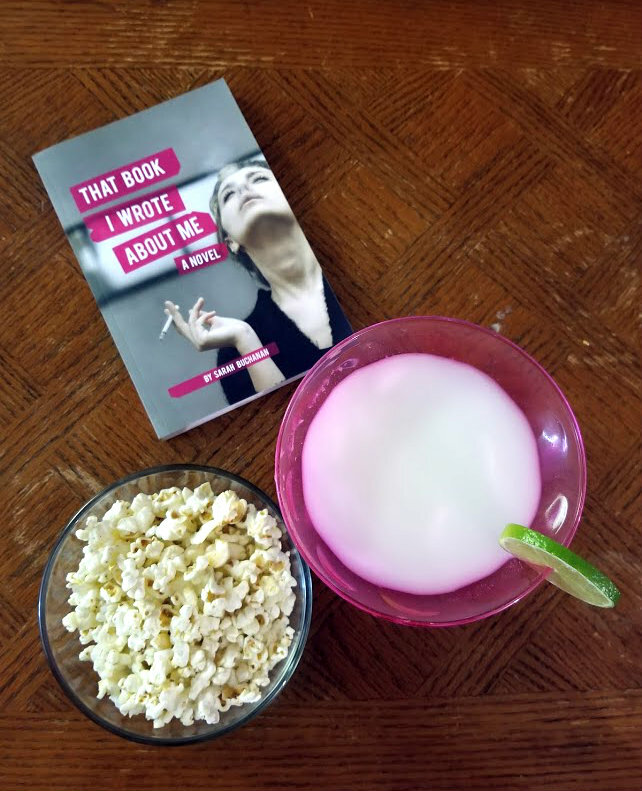 Everyone should have themselves a drink and a snack and a good read. Any book at all, really. 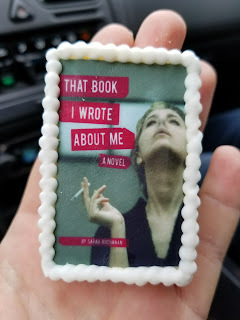 Welcome to the most exciting blog post you've seen on Sarah Cooks the Books for at least 4 months! 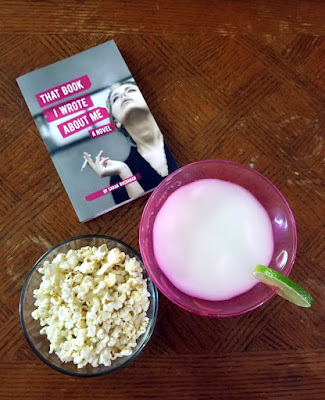 "That Book I wrote About Me: A Novel," is available on Amazon! It's a story about small towns, families, and family secrets. Check out the summary to learn more, and I hope you'll read (and enjoy!) it. I'm super proud of this book. Find it here. And now, to the main event! 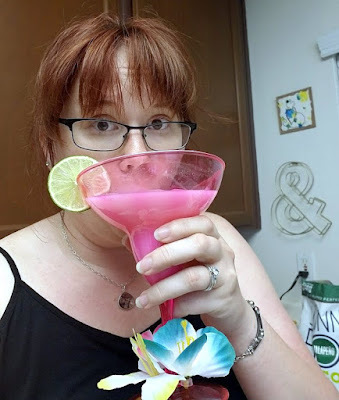 To celebrate Anyonita Nibbles's 7th blog birthday, I, along with 5 other fantastic food bloggers, will give you the chance to win $50 USD in cash paid via Paypal!! What would you do with $50 cash? 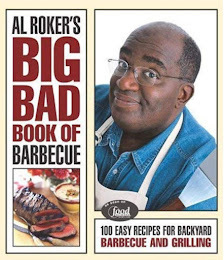 Dee is the publisher of Cooks&Books&Recipes, where she shares recipes from cookbooks, chefs, and restaurants. For example, how about this recipe for Slow Cooker Lamb Barbacoa (Barbacoa de Borrego) from famed Chicago Chef Rick Bayless? And lastly, the blog birthday girl: Anyonita! 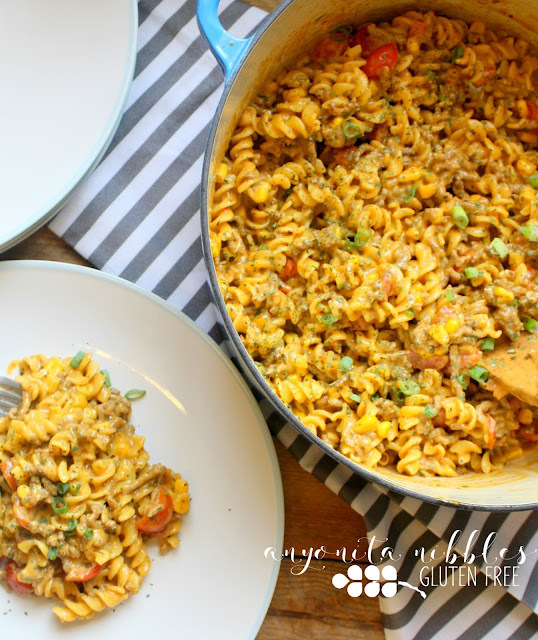 She blogs at Anyonita Nibbles where she writes a gluten free food blog full of quick recipes you won't believe don't contain gluten like this 15 minute gluten free one pot taco pasta! To even stand a chance at winning, you need to enter! Here's how you do that; simply follow the prompts in the widget below to enter. There are some actions you can only do once, like following me on Instagram or Pinterest, but there are other options that you can do every day the giveaway is live such as tweeting about it! Choose as many options as you'd like--the more you do, the greater your chances are of winning!